My name is Kyra C. Kalageorgi. I am the Middle and High School Art teacher at Caurus Academy. 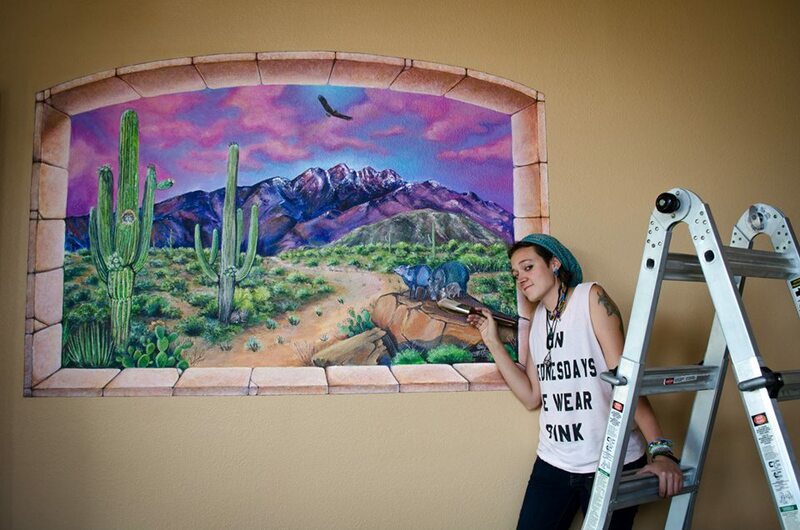 I am also a graduate from Michigan State University, a freelance muralist/mosaic artist and Divemaster. I was raised in Togliatti, Russia until the age of ten, when my family decided to move back to the United States of America. At a young age I became very interested and passionate about the ocean and what lies beneath it. In my free time I would watch National Geographic documentaries about the sea (I still do), while sketching and drawing the animals that fascinated me--- which eventually led to painting. My work focuses on raising the awareness and appreciation of all animals—specifically revolving around sharks and marine life. As an artist, scuba diver and world traveler - I've come to appreciate art for the sake of art, and beings for the sake of being.